For 20 years Rock Marketing has been providing various promotional products for insurance brokers and companies throughout Ontario and eastern provinces. Our most popular item throughout all these years remains insurance wallets, or liability card holders. There are countless styles you can choose for your company’s card holders, depending on your preference. Rock Marketing specializes with Traditional wallets that are cost-effective for branding, and Premium wallets that showcase a classy look with an easy-fold crease, similar to the spine of a book, in the middle of the vinyl. There are also 3-Pocket wallets and “L Shaped” wallets for additional pocket space. Please contact for more information on these two products. Insurance wallets are handy give aways for not only insurance brokerages, but new or used car dealerships. They can also be used by any industry to hand out business cards with key information on the vinyl itself. Majority of clients use a 1 colour imprint for easy branding and cost-effectiveness. For a one colour logo using standard colours a hot stamping method is used, which creates a metal plate embossed with brand information, and then covered in ink to press onto the product. However, there are limitations for ink colours available. For a company that uses various bright or specific colours, silk screening your card holders is used. This method has a mesh screen made with the company logo, and then ink is laid onto the mesh and seeps into the openings to create the image onto the product. Because there is a selection of ink colours available, a specific colour can be made when referring to standard Pantone™ colour codes. If you are looking for a 2 colour imprint on insurance wallets, please contact for a quote. Overall, insurance wallets are an item your client needs to keep their information together in one easy-to access spot. Utilizing this practical use item with your logo will not only expand the reach of your business, but reinforce loyalty of your client as they use it every day. Insurance wallets are also known by these names: liability card holders, liability wallets, registration holders, license liability card holders, automobile or car warranty wallets, pink slip wallets, or dealership wallets. 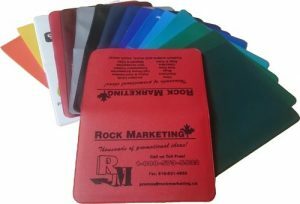 To place a customized order for your insurance wallets, contact Rock Marketing today for details!